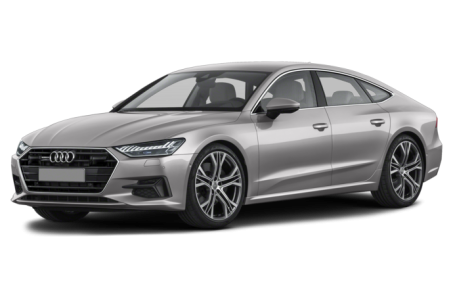 The 2019 Audi A7 is a full-size, luxury sportback that has received a sleek redesign. Powering the A7 is 335-hp, 3.0-liter six-cylinder engine mated to a seven-speed dual clutch automatic transmission and Quattro all-wheel drive. Cargo capacity is 24.9 cubic feet.